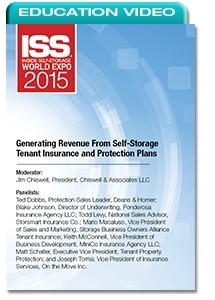 Learn how a self-storage tenant-insurance or tenant-protection program can be a valuable source of additional revenue. Get tips on choosing a program, training staff, and marketing and selling to customers. Todd Levy, National Sales Advisor, Storsmart Insurance Co.
Joseph Torrisi, Vice President of Insurance Services, On the Move Inc.